I know I write a lot about thankfulness. I hope you don’t get tired of it. I searched this document of blog posts (and emails before that) I’ve been writing for over 8 years to send to y’all, and there are over 100 references to thankfulness and gratitude. But God keeps putting it right in front of me over and over again, like I’m supposed to keep bringing it up to you. So this morning, in my Bible reading, the verse was one of those alarming ones: “And do not grumble, as some of them did – and were killed by the destroying angel.” I Corinthians 10:10. I know complaining is a human trait, a sin no matter what our situation, but I think there are times it’s especially egregious to God. The context of this story is the Israelites traveling to Canaan. God has just freed them from 400 years of slavery! They’ve been begging Him for this very thing! They’ve seen the miracles, witnessed their skin-of-the-teeth rescue from Pharaoh at the parting of the Red Sea, and are heading to the Promised Land! And they just keep complaining. So here we are in our prosperous First World Promised Land. And we keep complaining. I think it’s so easy to gripe in America because it’s culturally cool. 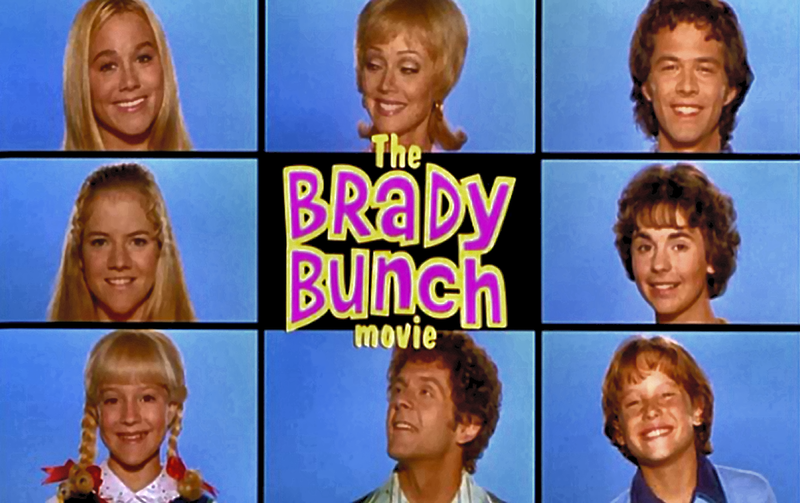 Have you ever seen The Brady Bunch Movie (1995)? The Bradys’ neighbors are mystified by them, and scornful at first, because the Bradys insist on putting a positive interpretation on everything and seeing the best in everyone. They don’t complain. It’s so foreign to the jaded, “enlightened” suburbanites. It’s not cool to be content. Thankfully : ) I believe this American attitude is slowly changing. There’s more emphasis on “blessings” this decade. But we are still going to have to guard against being discontent with our situations, our lives, our jobs, our bodies, our relationships, the life God has given us. Sarah Young says (in the voice of God) in Jesus Calling: “I hate it when my children grumble, casually despising my sovereignty. Thankfulness is a safeguard against this deadly sin.” The idea of despising God’s choice of what and where I am grabbed my attention. I had not seen myself as despising something God designed every time I complain. This week, try thanking God for the very thing you are most discontent about and see what He shows you.